Today Nokia introduced the Nokia 6212 classic featuring integrated Near Field Communication. The 3G handset allows consumers to share content, access services and information as well as conduct payments and ticketing with one tap of the device. The Nokia 6212 classic is expected to ship in the third quarter of 2008 in select markets in Europe and Asia. It has an estimated retail price of 200 Euros before taxes and subsidies. By tapping an NFC-enabled tag, consumers can receive new content such as Web links, audio files or contact data directly to their phone. They can activate a profile in their handset or open applications such as FM radio or Web browser. Photos and videos can be shared by tapping another NFC-capable phone and pairing with a Bluetooth NFC-enabled device. The headset can be used with a number of Nokia devices as well as other manufacturers’ phones. “NFC-capable handsets such as the Nokia 6212 classic are set to change the way mobile phone users interact with devices and services in their surroundings,” says Jeremy Belostock, head of Nokia Near Field Communications. The Nokia 6212 classic can also charge travel tickets can be charged over the air, so there is no need to wait at the service counter. Users can store their credit card information on the device and access their account online directly from the handset. Using the Nokia 6212 classic for payment and ticketing purposes requires a service subscription and the installation of an appropriate secure application. The handset can be set to allow payment only when the user expressly authorizes the transaction via an additional passcode. The Nokia 6212 classic allows consumers to personalize and edit their own NFC tags, be it for writing calendar entries or setting the alarm clock. 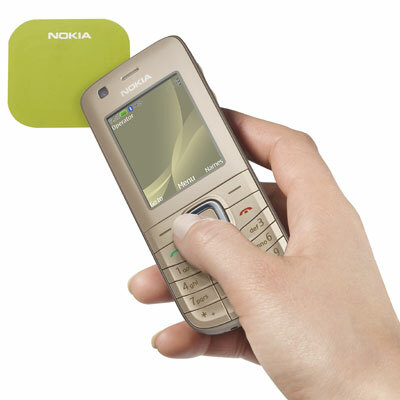 The sales pack of the Nokia 6212 classic comes with three sticker tags, one of which opens the NFC introduction in the phone. It also comes with a 2 megapixel camera, 2-inch QVGA display, stereo FM radio and music player supporting multiple formats. An optional microSD memory card of up to 4GB provides ample space for personal content such as images and songs.